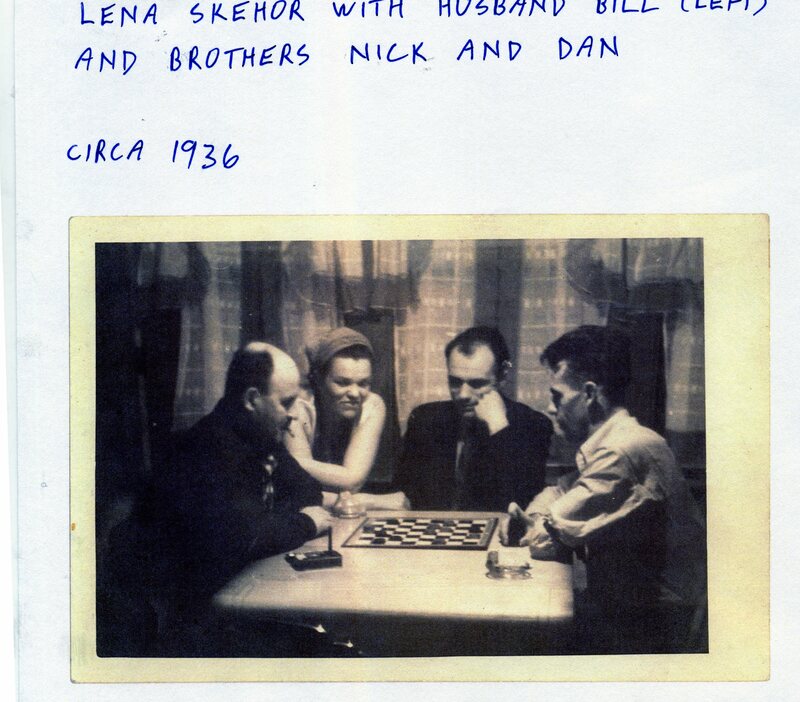 Lena Skehor With Bill, Dan, and Nick Skehor 1936. 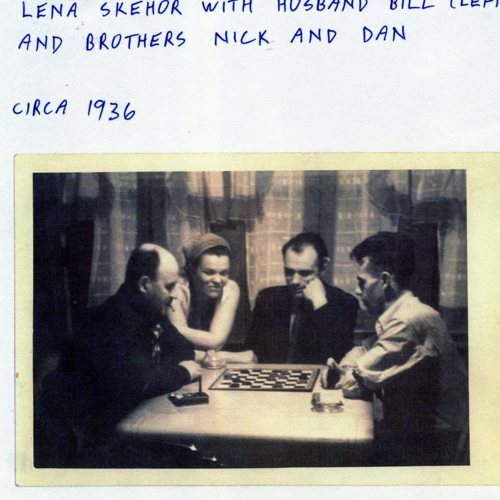 A photograph of Lena and Bill Skehor and brothers Nick, and Dan gathered around a table. Bill and one of the men play chess, and Lena and the other man watch. “Lena Skehor With Bill, Dan, and Nick Skehor 1936.,” Association of United Ukrainian Canadians - Vancouver, accessed April 26, 2019, https://auucvancouver.digitalhistoryhub.com/items/show/305.